UUs value inclusion and are called to act where inequities exist. UUs also value building bridges and are called to listen and learn across difference. At this service with Rev. 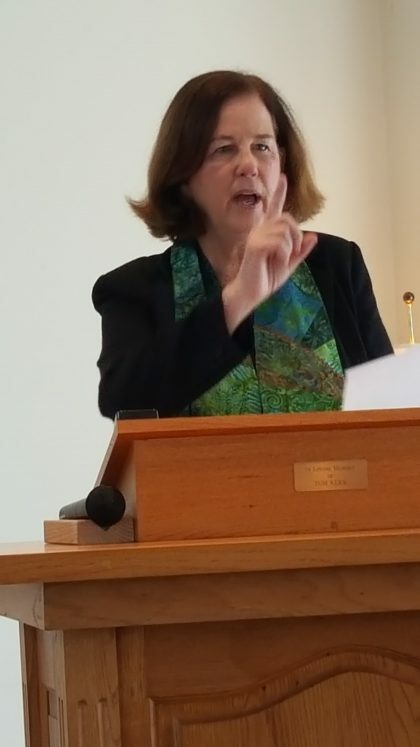 Sue Browning, we’ll consider the challenges of living out our values in a society plagued by both open discrimination and growing sense of polarization and ask, When is it helpful for a congregation to post a sign saying, ‘Hate Has No Home Here’ or ‘All Are Welcomed’ or ‘Black Lives Matter’?